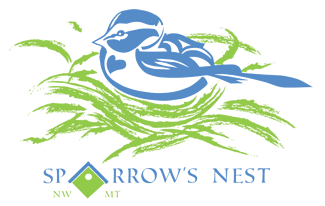 Sparrow’s Nest is a non-profit organization dedicated to ensuring safe and supportive housing for homeless unaccompanied high school students in the Flathead valley. St. Peter Lutheran Church got involved because our current pastor does not live in the church’s parsonage. We began looking for a mission that would fit with our church and also help the community. After learning about Sparrow’s Nest and this problem in our valley the congregation overwhelmingly supported having Sparrow’s Nest use the parsonage rent free as a home for some of these teenagers. Our congregation plans to support these kids with unconditional love, however they need it. The LWML ladies have made quilts to give to the first 5 kids that will live in the house. Church members participated in a fund raiser in December, 2015, where people raised money to sleep out in a tent to experience for one night what these kids deal with every night. It is estimated that approximately 60-100 teenagers are homeless in the Flathead Valley on any given night. This is a growing problem that is not going away. The reasons the kids are homeless vary, from abusive/drug parents to parents leaving the valley without the teenagers. These homeless unaccompanied high school students are fending for themselves and do not wish to get “into the system”. Any kids that move into the house will have to apply and be accepted after passing drug and alcohol tests, and must remain in high school. There will be a resident manager living in the house along with the kids, providing adult supervision 24/7. The goal is not to just give them a place to sleep but to teach them life skills, that most have had little opportunity to learn. They will be expected to cook meals, clean the house, do laundry, yardwork and remain in high school with passing grades.